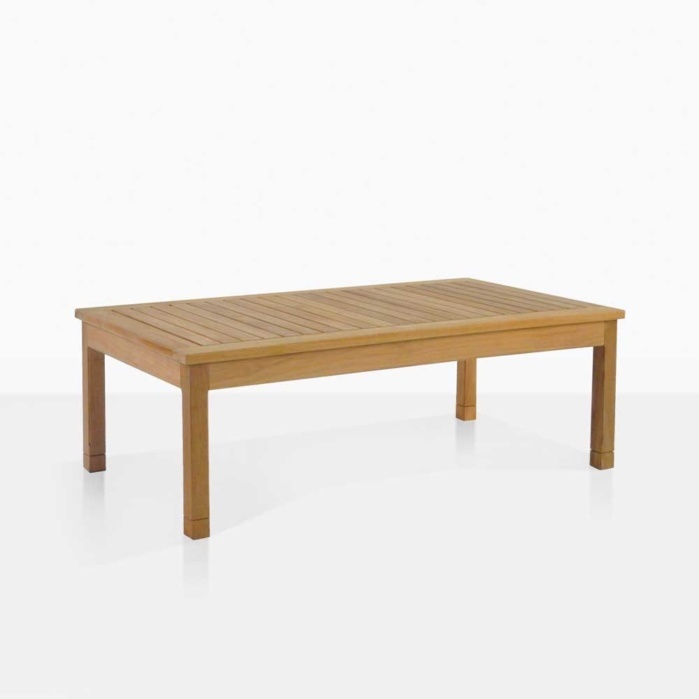 Sleek, simple and elegant; the St Tropez Coffee Table is a chic choice to add to your St Tropez Collection or to another of our superb relaxing chairs! 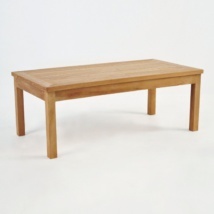 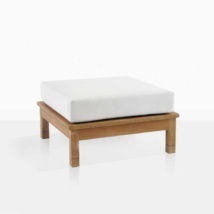 Part of the St. Tropez family, or great on its own, this A-Grade teak coffee table features a simple and classic design. 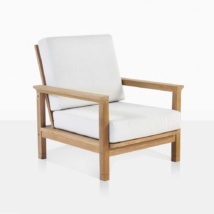 Inspired by the decadence and luxury of resort style in places like the French town of St. Tropez. 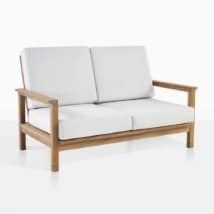 The main features are a seemingly light and airy frame made out of solid pieces of A-Grade Teak, with carved detailing around the legs. 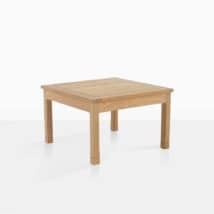 The St. Tropez Coffee Table has a top that has tightly placed planks, making an ideal surface for glassware as well as platters, books etc. 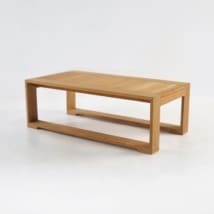 This attractive, classic Coffee Table is also suitable for indoors – center in the middle of your living room against your plush sofa for a perfect spot for tabletop books, casual meals and fabulous parties! Constructed from fantastic, long lasting A-Grade Teak, durable because of its natural oil / rubber content and with marine grade fixings; the St Tropez Coffee Table is a wonderful outdoor table you will have for many years to come! 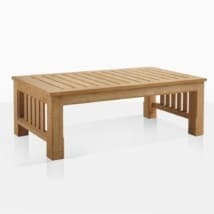 Create a tranquil environment in your courtyard with the St Tropez Coffee Table and 4 St Tropez Club Chairs; ideal for book club meetings or as a quiet space to enjoy the company of others! 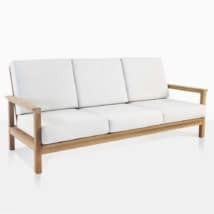 Go for a vibrant, party atmosphere with the St Tropez Sofa, two Loveseats and a Coffee Table! 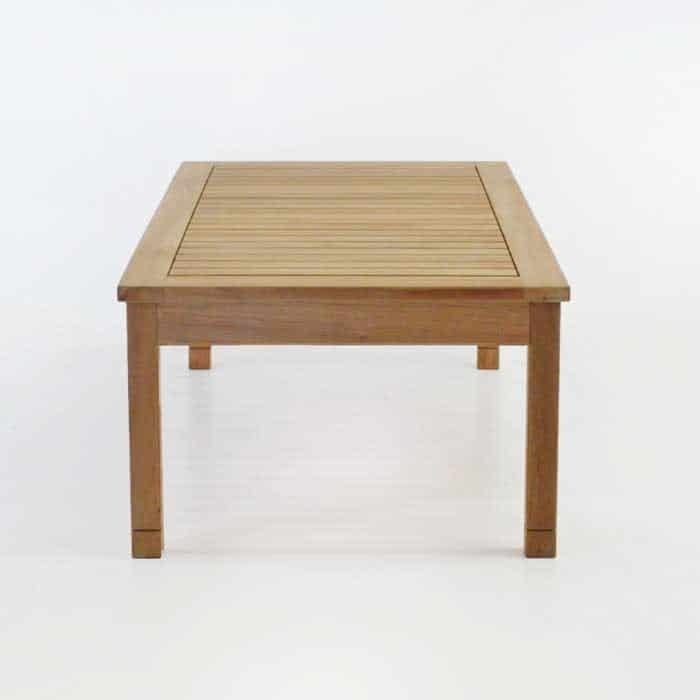 Superb for hosting many friends for drinks or casual meals! The St Tropez Coffee Table is in stock now, ready to be shipped directly to you!